We’re stoked to be kicking off Round 3 of our Random Acts of Art project with artist Georgia Hill. The project, which sees our 1kg bags and other ‘random’ objects in our world get art on them, started late 2013. Since then we have seen artists Brett Chan & Adrian Repeti’s incredible artworks featured. Georgia is a local Sydney artist who has been making a name for herself with amazing typographic and textured works. We first worked with Georgia on a mural for our Botany roastworks. 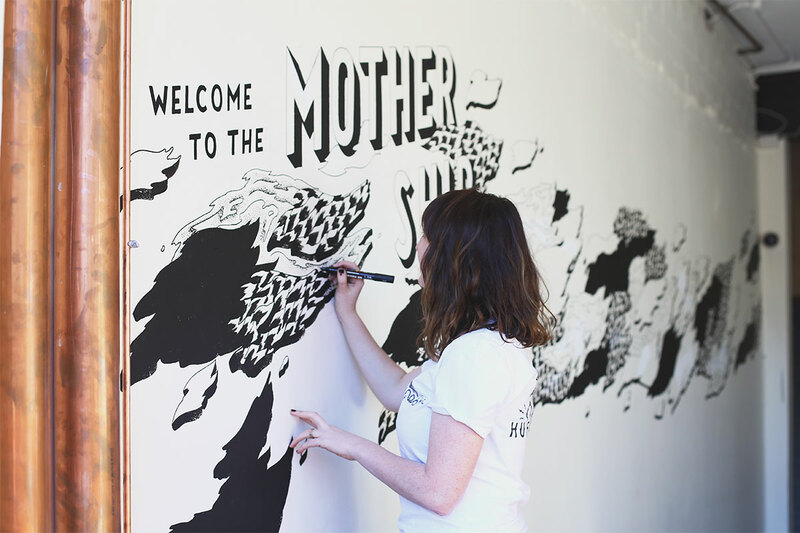 She did an amazing typographic “Welcome to the Mothership” with a textured water & fire artwork. We loved it so much that we thought her work would look great on our bags! 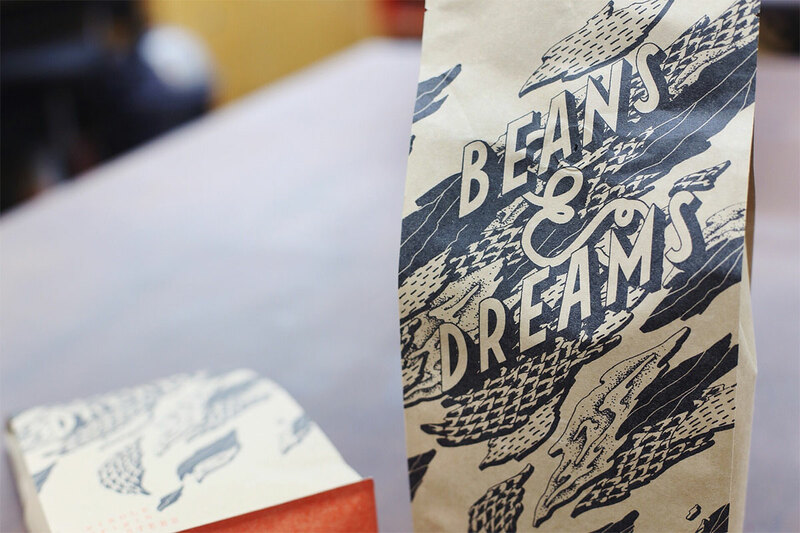 Enter the “Beans & Dreams” random acts of art bag. She was also kind enough to recreate the graphic on a wall in our dispatch area where the bags are sent from. We had a little chat with Georgia so you guys can get to know her a little better. TELLS US A LITTLE BIT ABOUT YOURSELF, WHEN YOU STARTED DRAWING AND YOUR ART STYLE? Well my name is Georgia Hill – I’ve been drawing since I was little, studied graphic design/vis com at uni, mix in a few more life events, gin and tonics and Phantom comics to that story and now I’m an artist and illustrator. My style is very much based on hand-drawn, bold graphic works, often focusing on lettering, texture and movement. WHAT CAN YOU TELL US ABOUT THIS ILLUSTRATION? 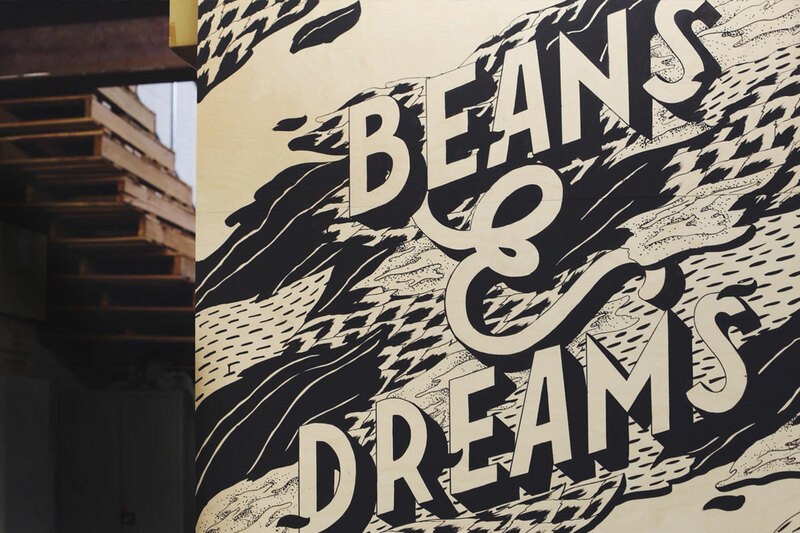 When Single O approached me they were after a big bold piece that would combine what the new Roastworks was all about – amazing coffee, roasting central and a bit of their cheeky nature. I put my usual style to the side and got a bit bolder for the wall, which worked perfectly with the tone we were trying hit. 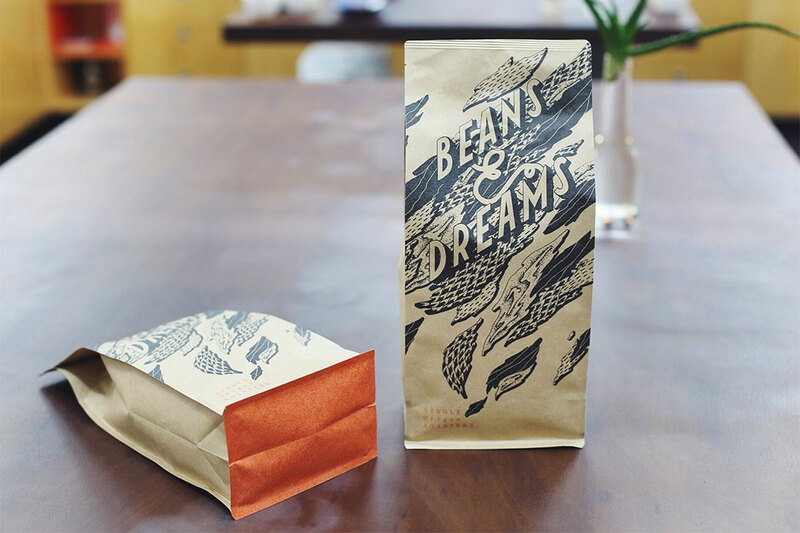 And there you have it – an abstract water meets fire meets coffee meets bold graphic textured artwork! I love drawing with pen, ink and paint, getting the stark contrast with black and whites, and I’m usually pretty pedantic with clean lines and bold forms. In my experience if I jump straight to digital my style just gets lost, so everything I do starts by hand and is usually at its finished final look before even consider digital. I’ve started to get a soft spot for digital with gifs and bringing in textures, but drawing by hand is always the start. Fashion editorials, still life, animations, other disciplines, moods, the tone of people talking and the rhythms in what they say. At the moment I’m going mad for textures, and playing with these within the limits of contrasting and manipulated ways that I often document on my instragram. I also love playing with words and how things can be phrased, so my work lately has taken an interesting shift from being about letter forms to being about what is even shaping the forms, whether that’s scale, texture etc. It all feels a bit bigger than me so I’m just trying to go with it! I tried to think about this the other day – when I was little it was an architect, then a short lived desire to be a fashion designer. The older I’m getting though I’m finding I have a really big interest in psychology and languages, and also art history and theory, so it looks like I would be student all over again! Good music, a good man and some good gin. I’m assuming there’s palm trees on this island because I don’t have room for sunscreen on that list and I wouldn’t last 5 minutes without it. 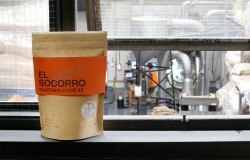 NOW THE BIG QUESTION -­ DO YOU DRINK COFFEE AND IF SO HOW DO YOU TAKE IT? Ha, find me a creative who doesn’t need coffee! It’s a strong latte in the morning (ideally having breakfast with my twin at the little corner spot right between both of our houses). Anything more or less I’m useless for the day. To see more of Georgia’s work, check out her website.